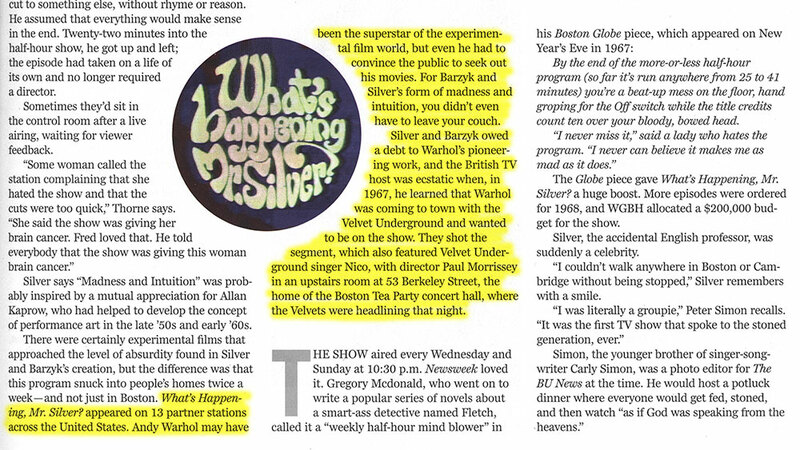 From an article by Ryan Walsh in the March 4 '18 edition of Boston Globe Magazine about an experimental TV series in the late 1960s, produced by WGBH in Boston and distributed to U.S. public television stations. The article is an excerpt from https://tinyurl.com/ya9k5w47. Re: What's Happening, Mr. Silver? If anyone is in the DC area, it looks like this is viewable by the public at the Library of Congress. Also, the same site has one episode (not the one with our heroes, unfortunately) viewable online. Hi y'all! 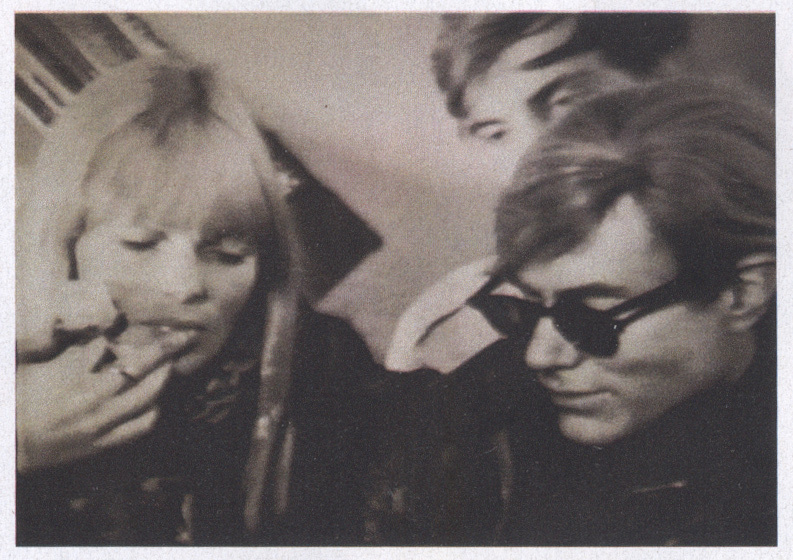 I wrote the Silver article and the book (with a whole chapter on VU's time in Boston)/. This is the interview it references. It's mislabeled as the Factory, definitely happened at the Tea Party (you can see the distinct window). Wow, that's great! Almost 300K views too. Too bad he didn't interview the band too, but I guess Andy was the star. Thanks for coming by and posting!